** COME SEE THE DIFFERENCE!!! AT MOTOR MAX WE SELL OUR VEHICLES AT WHOLESALE PRICES!!! ** Only One Owner! Toyota---A car to be proud of! Loaded with Power features Bluetooth Connection, CD Player, Keyless Entry.....Drive your dreams and let's go places! The best built cars in the world. Today, Tomorrow, Toyota. Who could ask for anything more? An absolute New experience of motoring. Oh what a feeling. Toyota. With a large inventory and wide selection of models our GOAL is to help you make a CONFIDENT decision and buy the vehicle that's RIGHT for you! All of our vehicles come with a Carfax buyback Guarantee. Our vehicle service contracts provide you with peace of mind so you know that when unexpected repairs are required your wallet is protected. Vehicles have a lot of parts and unfortunately sometimes they break. We offer easy affordable protection and these benefits give you peace of mind and keeps you on the road. Come by today and take it for a test drive to feel the power in your control. Life's short, live the pleasure! Interested in easy, no-hassle financing? WE FINANCE! Click the green Apply For Credit box above to complete a quick and easy application and our finance department will contact you shortly! Our vehicles are value priced and move quickly. Be sure to call us to confirm availability and to schedule a hassle free test drive! We are located at 2425 North Expressway, Griffin, GA 30223. If you love it, buy it before someone else does! ======WHY BUY FROM US: We are incredibly happy to serve the community in Spalding and throughout the Atlanta area. 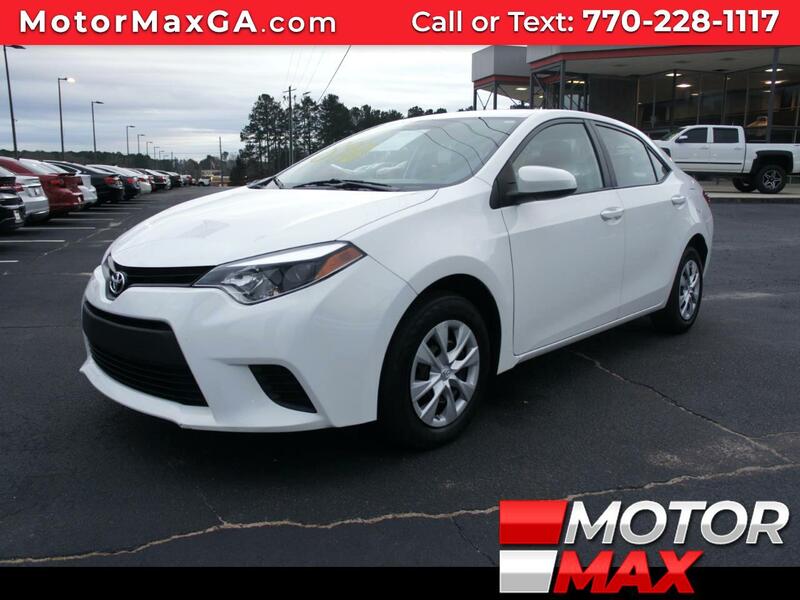 Our dealership is conveniently located at 2425 North Expressway, Griffin, GA. Please call us at (770) 228-1117 to get additional information. Horsepower calculations based on trim engine configuration. Fuel economy calculations based on original manufacturer data for trim engine configuration. Please confirm the accuracy of the included equipment by calling us prior to purchase. All prices & payments plus tax, tag, title (or TAVT) & GA WRA fees. Financing with approved credit. Must print out and present at dealership upon arrival to receive the special Internet price. All pricing subject to modification without notice. Dealer is not responsible for typographical errors. Please verify offer details with Dealer Representative prior to sale.